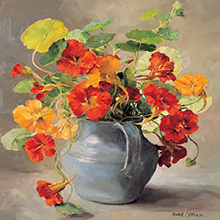 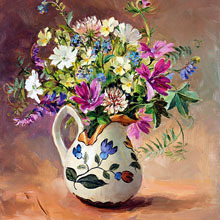 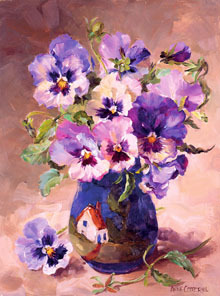 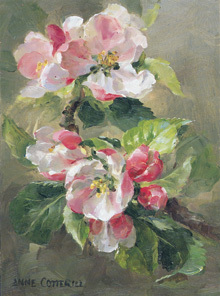 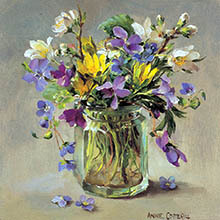 Anne Cotterill Fine Art Flower Greetings Cards. 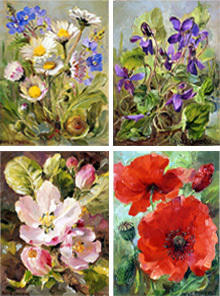 Reproduced from the original oil paintings, there are over 150 flower art cards in different size catagories, birthday cards and gifts. 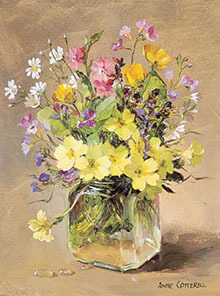 Clicking onto the image for each category will take you to roses, sweetpeas, primroses, snowdrops, and many more favorite and more forgotten about British wildflowers. 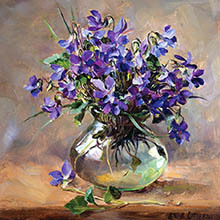 Selecting the image of your chosen cards takes you to the card detail page where they can be added to your basket.